Board member of the IMA ( Institute of Management Accountants) Atlanta chapter; leading the chapter in membership development and students affairs. Member of CBAA (Chinese Business Association of Atlanta). Volunteer to organize meetings and cultural celebrations. Mentor of FBLA (Future Business Leaders of America) Loganville Middle School chapter. Provided career counseling, organized and led chapter meetings, and assisted students in preparing for state wide competitions. Supported the chapter to win the Gold award in the state of Georgia in 2010. OBJECTIVE:Seeking a financial analyst position with a growth oriented company where I can utilize my knowledge and skills in financial analysis, cost management, business planning and process improvement. More than 5 years experience in accounting, reporting, financial analysis and supporting operations. Industry experience: Consumer products, Telecommunications, IT, Banking and International trade. Advanced skills in financial, trend and variance analysis; budgeting/planning and financial modeling. Excellent analytical and interpersonal skills; works very well with cross-functional teams. Able to present comprehensive financial analyses and recommendations. Proficient in Excel, Access, PowerPoint, Peachtree Accounting System and Sage MAS 500 ERP system. Develop financial and operational forecasts, provide analysis based on different scenarios and present to senior management. Create monthly financial statements and performance evaluation reports. Perform monthly department variance analysis as compared to budget and create walk-forward schedules to explain variance; review financial performance with market division heads and identify strategies to improve operation efficiency and project profitability. Work with project managers to develop project cost estimates in labor, materials and overhead; track project costs and provide variance analyses for decision making. Administer labor costs for engineers and technicians in 11 market divisions; consolidate labor costs for projects and market divisions then process journal entry and create reports to project managers. Update company metrics report regarding monthly recurring revenue, non-recurring revenue, sales volume, profit margins, and installation efficiency. Manage sales commission process for all sales teams which include enterprise, carrier and government sales; Prepare monthly individual compensation statements. Provide financial analysis for strategic project investments and initiatives and present to upper management; produce cost variance analysis at different stage of project implementation. Project accounting management: setting up projects in the ERP system, cost projection, monitor committed costs, and create actual project profit analysis upon completion. Oversee activities on various (project related) general ledger accounts; prepare journal entries and accounts reconciliation. Identified opportunities to leverage the best practice in the hotel industry to improve operation efficiency. Developed a strategy map from financial perspective, stakeholders and internal process perspective. Created a business model and financial analysis tools to monitor and evaluate operation efficiency and cost management. Worked with professors at the Economics department to facilitate and supervise exams in classes with more than 200 students. 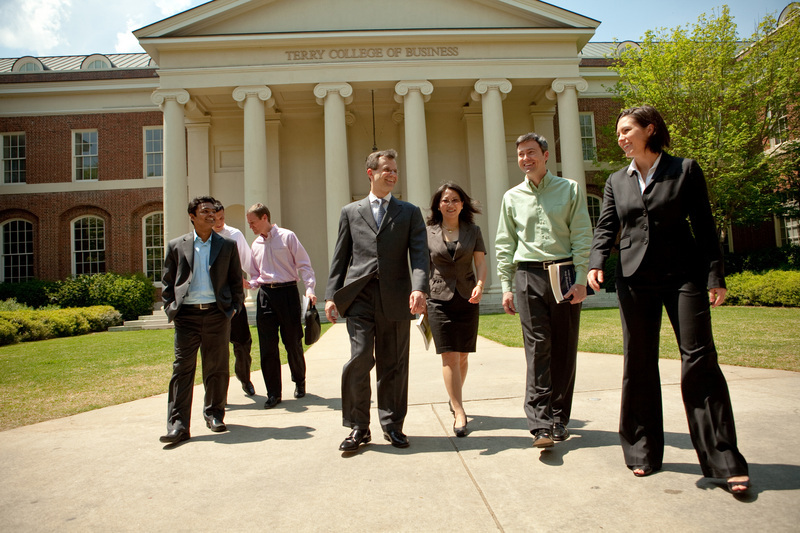 Assisted the Terry College of Business MBA Admissions office to identify and recruit potential candidates. Built volume/rate/mix variance analysis of P&L for Dasani water and created walk-forward schedule to explain variance for actual, rolling estimate and 3-year business planning. Designed marketing budget planning and tracking process for Powerade in Access database; developed marketing analytics tools to analyze various promotional programs to enhance Powerade sales volume for national and regional retailers. Marketing analytics: created seasonal sales volume analysis and tracked the impact of various promotional events on sales for key products. Developed and presented both short and long range financial plans and operating budgets.Conducted variances analyses to track and evaluate operating performance and identify opportunities for improvement. Identified opportunities to reduce product costs by implementing Activity-Based Costing and Activity-Based Management. Assisted sales team to reduce 18% selling expenses by restructuring sales compensation policy. Provided profitability analysis, competitive analysis and project cost analysis to support pricing decision making.Efforts supported more than 12% annual revenue growth. Led a team of four to assess the feasibility of a $2.5 million business proposition.Proposed sound decision recommendation with extensive cost analysis, risk analysis, and return on investment projections. Designed internal financial control policies and procedures to protect company assets and manage cost and expenses. Supported operations with adequate financing and managed cash flow and working capital. Sales revenue increased more than 25% in 1999. Contributed to the development and subsequent execution of short and long-term strategic plans by providing situational analysis, business performance analysis, tactical plans, critical success factors as well as budgeting. Managed internal and external financial reporting. Led the conversion of accounting system from manual to computer and built financial analysis models to capture and interpret information. Provided import and export documentary services in a timely and efficient manner. Accurately examined business documents based on the international Uniform Customs and Practice for Documentary Credits and evaluated risks for offering trade financing solutions to clients. Managed more than 85 corporate clients with multimillion RMB import and export transactions; built solid relationship with clients and was able to retain business and develop new business opportunities. Assessed lending risks by analyzing trade transactions and customer’s financial and strategic positions. I interacted with Nancy for two years. I found her to be energetic, positive in her outlook and a motivating force. She is highly intelligent and forms new relationships easily. Nancy is an adept problem solver with exceptional critical thinking skills. Interacting with her was always productive and a pleasure. She is focused, mature and committed to continuous improvement. I had the pleasure of working with Nancy in a team for Financial Statement Analysis course at Terry College of Business. Nancy maintains a healthy balance of being focused on the goal of the project and being a great team player. Because of her expertise in the accounting area, she could have easily commandeered the projects herself. But she was gracious in helping teammates understand some concepts that were tricky and in listening to our suggestions. When we were veering in the wrong direction with the projects, she spoke up and clearly communicated why she believed we should approach the problem differently. I had an opportunity to work with Nancy on our company's wellness committee, where she served a dual role as the group’s note taker and fellow planner/participant. 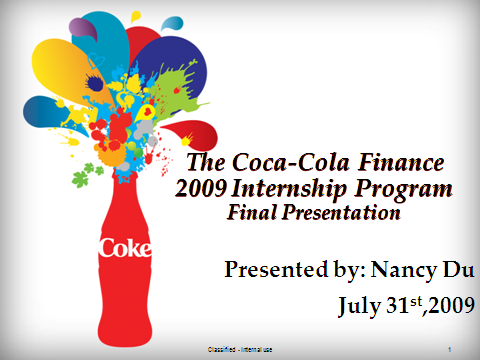 Nancy exhibited dependability and attentiveness by providing a quick turnaround on detailed committee notes which enabled the group to plan events more effectively. In addition, she exhibited overall interest in the company by asking relevant questions about FiberLight’s marketing direction and strategic plans. I enjoyed working with Nancy and will miss her inquisitive nature and sunny disposition. Nancy volunteered to work with me on an analysis of the Hope Lodge program, reviewing financial and non-financial data to help inform decisions on efficiency and effectiveness of our lodging program. Her out of the box thinking regarding "revenue" was helpful to the American Cancer Society as we enhance our business approach to providing quality services in the most efficient manner. Nancy took for-profit business approaches and applied them in a relevant manner to our not-for-profit program. Be able to communicate complex financial information with management and cross-functional teams. Works very well within teams.